Round 2 of the Rally America National Championship gets underway this Friday and Saturday at what is traditionally the fastest event of the season, The Rally in the 100 Acre Wood. Wide roads with firmly packed dirt make for high speeds with drivers frequently butting up against the rev-limiter. Last year such speeds weren’t possible as a freak storm pounded the area with ice pellets and freezing temperatures that turned the event into Sno*Drift 2.0. That won’t be the case for 2014 though as the forecast is showing temps in the mid 50’s and only a 10% chance of rain for Friday and Saturday. There will still be slick conditions in spots as the ground recovers from being super-saturated with all the Midwest winter storms. Expect a fair amount of mud slinging, especially in the slower corners. Just remember one thing if you are lucky enough to be going to The Rally in the 100 Acre Wood, observe from the inside of the corners unless you want to get covered in mud. Videos so far of the higher speed sections appear to be well drained and dry, so it won’t be a complete mud fest. The weather may still be chilly, but the competition is definitely heating up for this round as all the big names will be in attendance. Canadian Champion Antoine L’Estage will of course be there and hoping to improve on his pace in his Rockstar Energy Mitsubishi EvoX. Ken Block returns with his HFHV (Hybrid Function Hoon Vehicle) Fiesta in a new and more obnoxious livery. 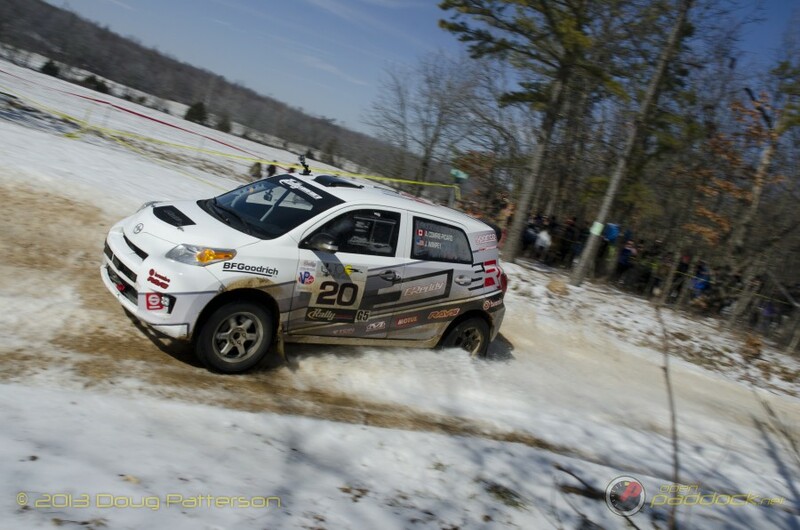 Ken hopes to restart his 100 Acre Wood series of victories that was interrupted last year in the icy conditions and Subaru’s David Higgins took the win. Higgins for his part is looking forward to pressing on at full pace with no worries of dust or ice. 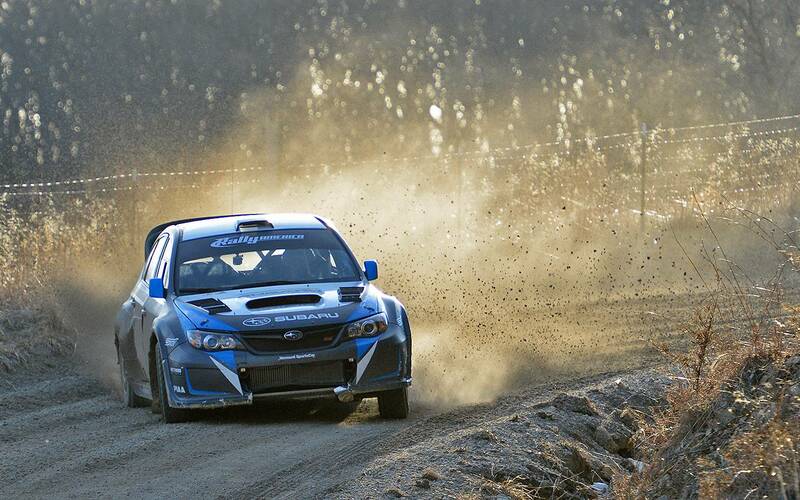 And of course there is the much anticipated return of Travis Pastrana with Subaru Rally Team USA. Travis’ last couple of visits to the 100 Acre Wood have not ended well, although driving with a broken foot might temper his aggressiveness a little, but not much. Much excitement will be surrounding Pastrana’s return to the dirt, but don’t forget to keep an eye on FY Racing’s Adam Yeoman who has been steadily improving his pace over the years. Adam even went so far as flying to Wales to get some personal training from David Higgins’ rally school late last year, and more recently has received some coaching from Australian rally driver Will Orders. Yeoman might not have the same top speed as the elite four in front of him, but all it takes is one mistake from any of them and he could be fighting for a podium. The hotly contested Super Production class will have a great showing as well at the 100 Acre Wood. 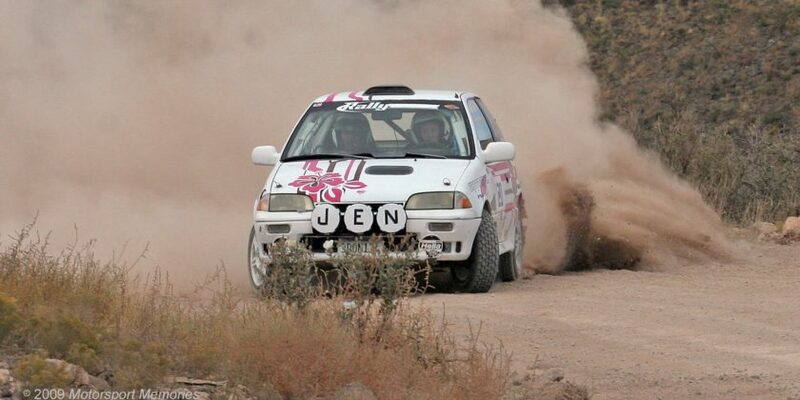 Last years’ champ David Sterckx will be battling it out with the well experienced multiple Rally America Champ. Lauchlin O’Sullivan. Last year O’Sullivan had a severe off at Oregon Trail and was not able to repair the car to contest the rest of the season. With his fresh set of wheels, O’Sullivan won Sno*Drift and will hope to continue his lead in the championship standings. Those top two have to watch out for the young guns behind them though. Dillon Van Way who stepped up from 2wd to Super Production at the end of 2013 has proven his pace and ability to fight for not only podiums, but wins as well. Van Way took the victory at LSPR last year and was 2nd at Sno*Drift. He’s already said he’s pushing for the championship title even though it is his first year in the class. Two others to watch out for in SP are Nick Roberts in his very unique pink and blue plaid liveried Subaru and Evan Cline who finished 3rd in SP overall last year. 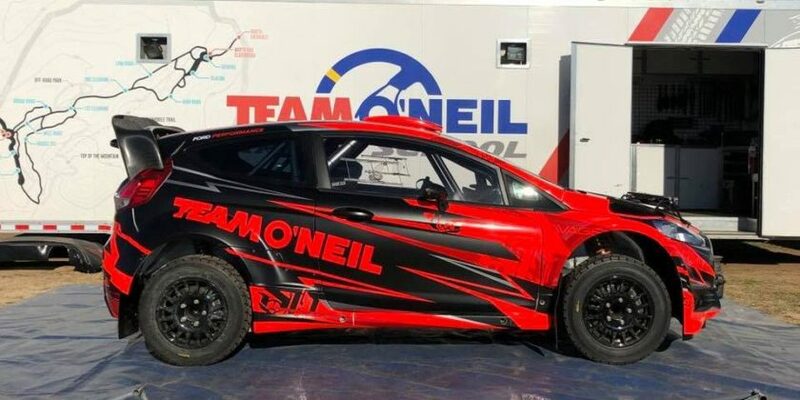 In 2wd there will be the continued action between the factory Scion Rally xD now driven by Matt Johnson, and the Ford Fiesta R2 in the hands of Andrew Comrie-Picard. ACP got stuck in a snowbank for 30 minutes early on at Sno*Drift and Matt took the win. ACP will be keen to put the hammer down to stay in the championship fight. From the affordability-ish side of the sport there are the little B-Spec machines to watch this weekend. Basically a factory car driven off the lot with a roll cage, safety features, and at most you are allowed to upgrade the dampers. 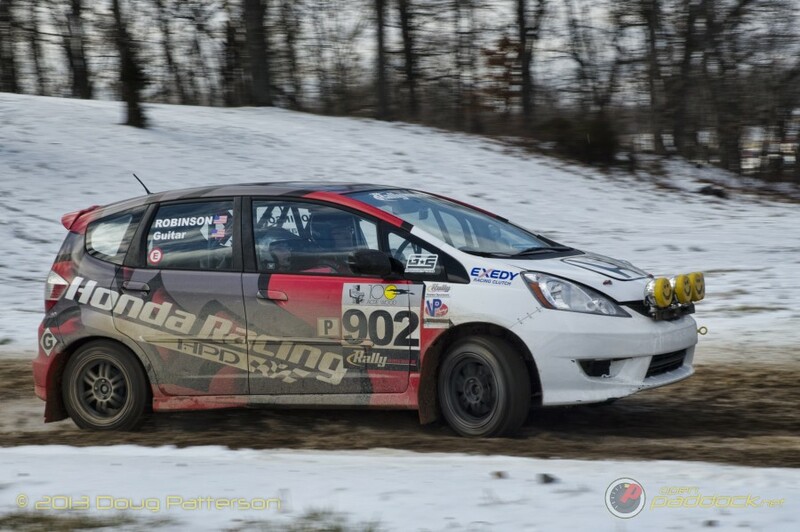 There are two competing in the national championship, the Tag Rally Sport “jelly bean” Toyota Yaris driven by Tracey Gardiner, and the Honda Fit driven by James Robinson. And don’t forget the large volume of regional competitors also out this weekend. There should be some great action from a variety of cars out there like Brakim Racing’s BMW e36 which should make some great rear wheel drive drifting action to the stages. In fact 3 different BMWs are entered, as well as a classic Merkur XR4Ti, a 1990 Audi Coupe Quattro, and the list goes on and on. So don’t turn away after Ken Block and Travis Pastrana go flying by as there will be plenty of awesome cars and competitors to cheer on throughout the weekend. 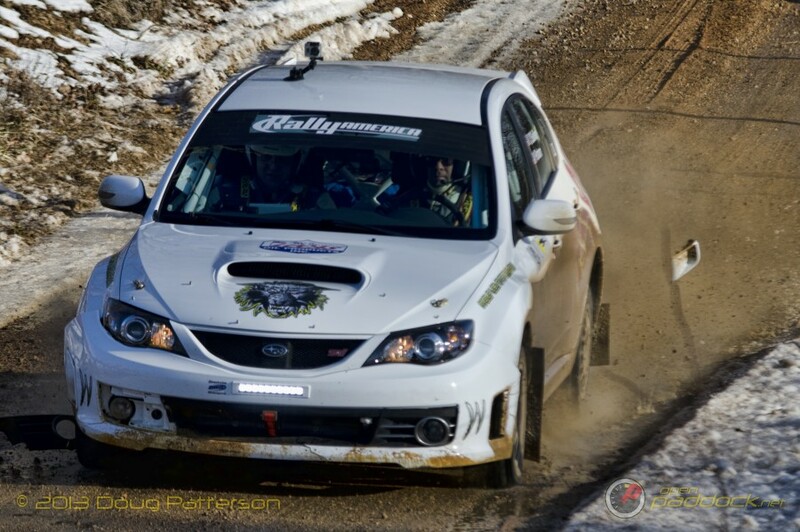 The Openpaddock.net team will be out in full force covering The Rally in the 100 Acre Wood. Doug Patterson and Mike Whitesell will be joining the crowds for a behind the scenes perspective at the park expose, spectator stages, the service park, and of course the local beer garden or watering hole. In addition to the behind the scenes coverage, our acclaimed motorsports photographer Josh Tons will be hoofing it out into the forest to find the most epic shots the event has to offer. To get the latest updates on this weekend’s rally be sure to follow us all on Twitter via @openpaddock, @xorpheous, @mikeopenpaddock and @JoshTons. I’ll be remotely spectating and commentating via @oregonwings.